Buttermilk is indispensable in the South because of its rich, creamy flavor. It makes these potatoes smooth and tangy at the same time. Make your family meal complete with this mashed potato recipe from PAULA DEEN’S SOUTHERN COOKING BIBLE. 1. In a large pot, cover the potatoes with cold salted water. Bring to a boil over medium-high heat and cook until the potatoes are very tender, 20 to 25 minutes; drain well and transfer to a bowl. 2. While the potatoes are still hot, using a potato masher, mash in the buttermilk, butter, salt, black pepper, and nutmeg. Mash until the potatoes are the consistency you like. Serve piping hot. If you really want to go all out, substitute sour cream for the buttermilk—it will make your dish even richer and creamier. 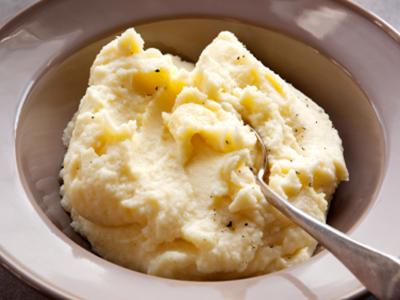 For smooth and fluffy mashed potatoes, use a ricer or food mill. Fill the ricer with drained boiled potatoes and press out through the holes. Alternatively, fill a food mill with the potatoes and turn the crank in a circular motion to press them through the perforated disk. Pair those deliciously-buttery mashed potatoes with a baked sugared ham. This book is my proudest achievement so far, and I just have to tell y’all why I am so excited about it. It’s a book of classic dishes, dedicated to a whole new generation of cooks—for every bride, graduate, and anyone who has a love of a great Southern meal. My family is growing and expanding all the time. We’re blessed with marriages and grandbabies, and so sharing these recipes for honest, down-home dishes feels like passing a generation’s worth of stovetop secrets on to my family, and yours. 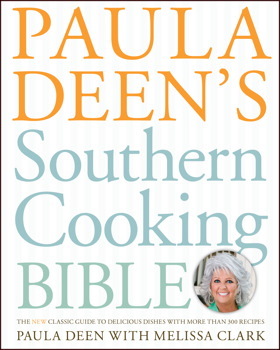 Paula Deen is the bestselling author of thirteen books and an Emmy Award–winning Food Network television star. She was born and raised in Albany, Georgia. She later moved to Savannah, where she started The Bag Lady catering company. The business took off and evolved into The Lady & Sons restaurant, which is located in Savannah’s historic district and specializes in Southern cooking. She also co-owns Uncle Bubba’s Oyster House with her brother. Paula publishes a bimonthly magazine, Cooking with Paula Deen, and is a regular guest on QVC, where she sells her books and food products.